One of the main reasons I am a photographer today is the night sky. I remember spending countless nights sitting outside the backcountry huts of New Zealand just taking in the stars, which were often framed by 360º of rugged mountain silhouettes. As wonderful as those memories are, I also remember being frustrated that I couldn’t capture them in a way that did them justice, so as soon as I could, I upgraded my camera and took some photo lessons. The rest is history. While the rest of my family aren’t photographers, they do share my fascination with the night sky. So, when I gave them a list of the possible activities we could do on our two-week roadtrip around New Zealand, the immediate responses insisted that we do the Earth & Sky observatory tour at Lake Tekapo. 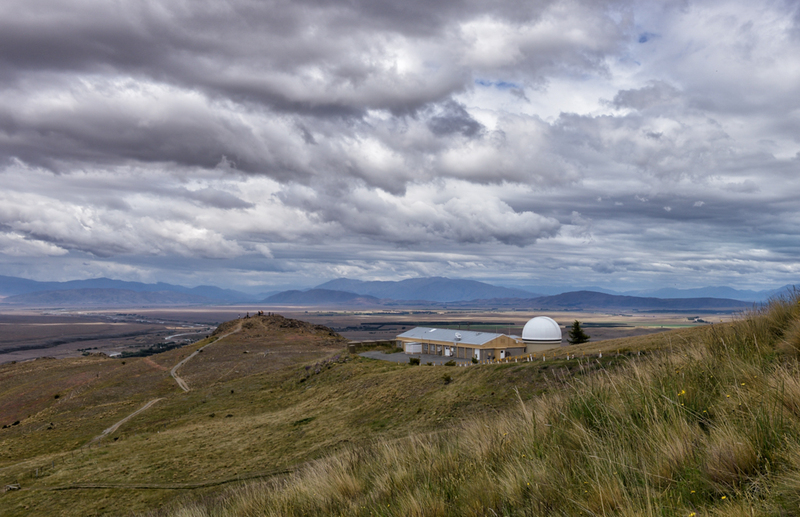 Some of the domes of the Mount John Observatory as they look during the day. 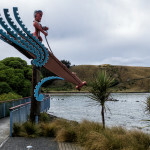 Lake Tekapo is a particularly special place for stargazers as it lies in the eastern section of the Aoraki Mackenzie International Dark Sky Reserve, a reserve that spans from Mount Cook in the west to Twizel in the south and Tekapo in the east. 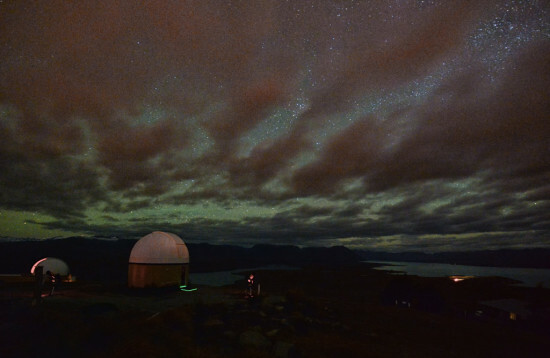 This status was granted to the area by the International Dark Sky Association, which deemed it to be on the ‘gold tier.’ This means that, in the eyes of the IDA, this region has one of the three darkest skies in the world. That’s pretty amazing. The towns of the reserve have put in a lot of hard work to ensure that the skies above remain as dark as possible. Tekapo, in particular, only uses a certain type of street lighting — you’ll notice many short posts topped with orange lights in the neighbourhood areas — and all lights are required to have specific coverings to stop them from projecting upwards. From above, this gives the town an eerie look. You know it’s there, but it’s like it’s under a light layer of fog that’s blocking out the bright lights. The town of Lake Tekapo looking very muted, as seen from the Mount John Observatory. 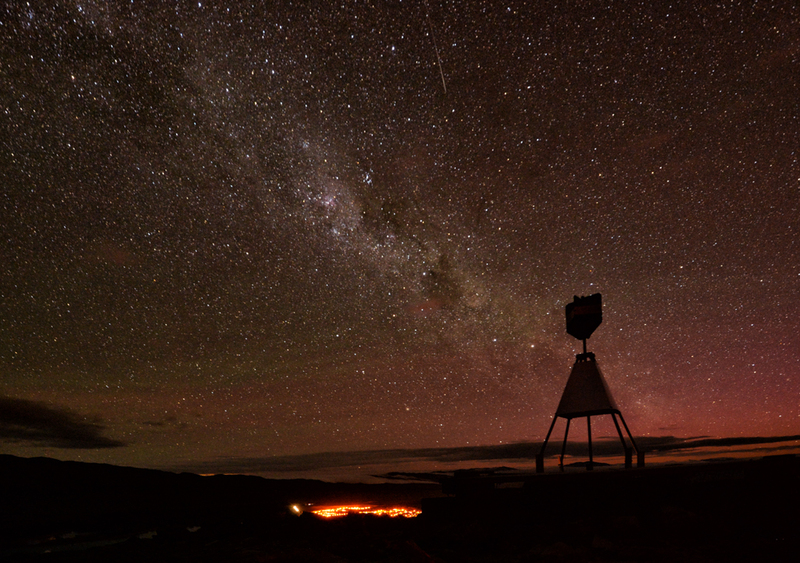 And yes, that pink is the aurora! 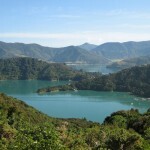 The Mount John Observatory, run by the University of Canterbury on the small mountain that stands on the western shores of the lake, takes full advantage of these clear skies. Because of the lack of light pollution and the fact that it sits in one of the driest climates in the country — courtesy of the Southern Alps to the west — the astronomers there are able to observe the southern sky in a way that few other observatories can. Fortunately, they’ve opened their doors to the general public to explore by night — with some caveats. The first is that, because the telescopes are usually collecting data, you can only see the largest ones (like the 1.8m MOA) if the skies are cloudy. The second is that visitors have to respect the fact that it is an active observatory, which for the most part translates into not using any form of white light while on the mountain. The domes of the observatory by night. That green colour in the sky is airglow rather than the aurora (since this photo was aiming north away from any visible southern lights). 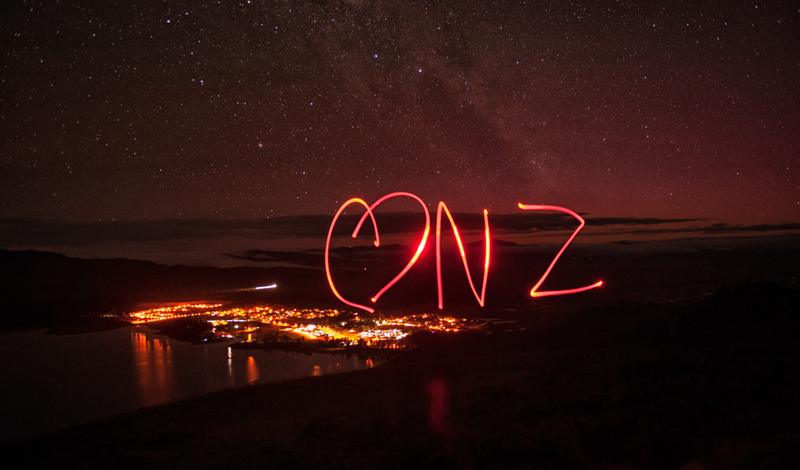 Before we got on the bus at the Earth & Sky office in the centre of Tekapo for the 10pm tour , we were told about the ‘no white light’ rule and given red torches to help us see while on the mountain. However, I don’t think the full implications of the rule dawned on us until the bus driver turned off his lights about 400m from the top of the mountain. Luckily we’d gone around most of the windy bits by then and he could still keep his parking lights on for some illumination of the road ahead. The lack of white light meant our eyes were able to start adjusting to the darkness, a process that takes ten minutes to complete. If you look at any light source, such as the LCD on your camera or the screen on your phone, before that ten minutes is up, you start from scratch. I recommend leaving all of those items alone so you can fully appreciate the amazing sky above. Boy is that sky amazing. Even with all the descriptions of how dark it is, and in my case having been up there once before on a mostly cloudy night, it’s hard to truly comprehend the sheer number of stars that are visible from the observatory. 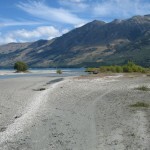 A closer look at the town of Tekapo. Thanks to the official photographers for this shot. Even without telescopes, we were able to pick out a series of constellations and astronomical bodies with the help of the guide’s green laser pointer (which was strong enough to appear like it was actually circling the stars in the sky). Our guide also pointed out an added treat — Mars, which was just above the horizon and disappeared only a few minutes later. Even though we were seeing plenty with the naked eye, we got a chance to use one of the large domed telescopes to check out particular points of interest in the sky. I was secretly crossing my fingers to see Saturn again, since that was the absolute highlight of my previous trip…even though it was very unlikely given that tour was at a completely different time of year. The Milky Way stretches across the southern skies in front of the aurora australis. Instead, we got to see a globular cluster, which was not quite as mind-blowing as seeing Saturn, but it was still very cool. After all, to the naked eye, these clusters look like a star; through the telescope, we could see its true structure. It was actually a massive collection of stars, very closely packed together into a vaguely spherical formation. Plus, it was the oldest feature we saw in the sky all night — somewhere on the order of 10 billion years old! 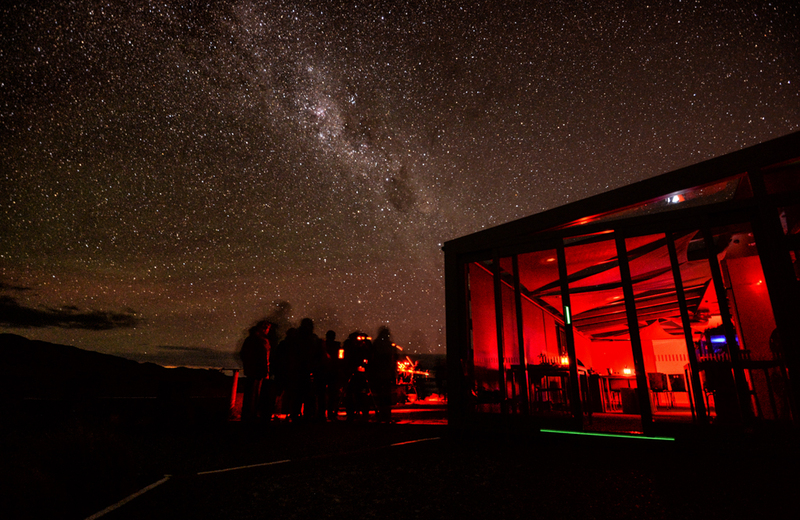 Once everyone had the chance to look through the telescope, our group was led up to the area outside the cafe and handed hot chocolates as the guides began to point out other areas of interest in the sky. In between turns looking through the smaller telescopes at the Jewel Box (one of the stars in the Southern Cross that is, in actuality, a star cluster) and the Large Magellanic Cloud, I set up my tripod and attempted to take a few photos of my own. 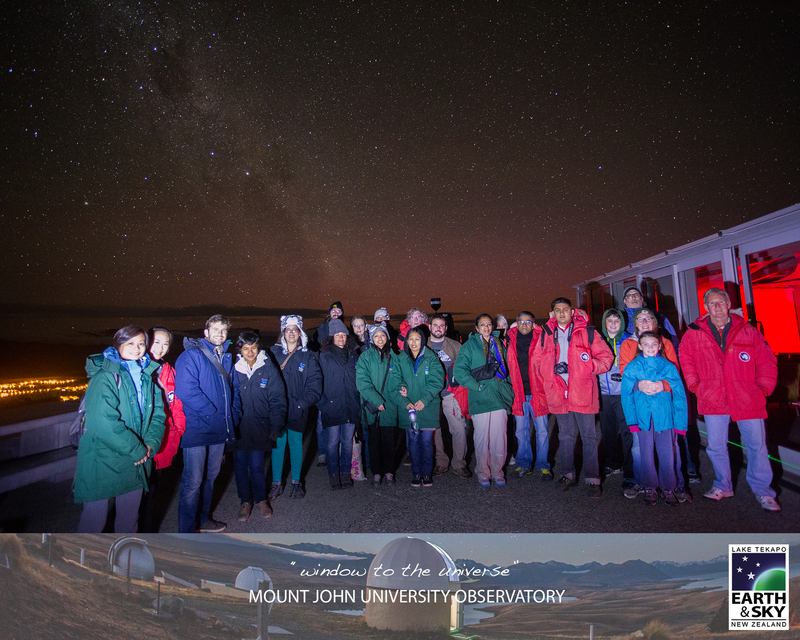 The 10pm tour group standing near the Mount John Cafe as they listen to the guides and take turns looking through the smaller telescopes. I say “of my own” because there were two photographers who had taken everyone else’s dSLRs and had set them up on a star-tracking tripod mount. Not only did this mean they could take much longer photos without the stars trailing (whereas my camera could only go to 30sec), but it also meant that the guests didn’t have to worry about taking photos and ruining their night vision. I highly recommend that all visitors do this; chances are, unless you are an experienced night sky photographer, you will end up with better photos. Plus, it means you’ll be able to enjoy the tour to its fullest. On the other hand, I spent my time trying to cover up all camera screens in an effort to stop any white light from escaping. I can guarantee you that’s not as much fun! The official photographers had a bit of fun trying to make some creative photos for everyone. Thanks to them for this shot. That said, I was able to glean one important fact from my quick glance at one of my photos: the aurora was there in the southern sky! Unfortunately, it was only visible to the naked eye as a slightly lighter area on the horizon…but it was still there! How lucky is that — not even 45º south (compared to the 66º north of the Arctic Circle where I had previously seen the aurora) and the aurora australis was (somewhat) visible. Once my photos — and our group photo in front of the aurora — were done, I had the chance to gaze through one last telescope. This one had been aimed at the Tarantula Nebula, which definitely lived up to its name. While some people were convinced it looked more like Alien, I could definitely see the legs of the tarantula spread out across the lens. As I looked up from the telescope, I could see Jupiter rising over the Two Thumb Range to the east. The official group shot, courtesy of Earth & Sky Tours. It was the only time any of the guides used white lights. With that, we made our way back to the carpark, the path lit with the wobbly red lights of other visitors. By this point, it was past midnight — long past the time that my family would have usually turned in for the night. On this night, though, they were wide awake and raving about how much more of the night sky they’d been able to see than ever before. That, to me, was the most ringing endorsement possible. What’s the best night sky you’ve ever seen? And have you ever been lucky enough to see the aurora australis (or the aurora borealis)? Tell me in the comments below. My night observatory tour was sponsored by Earth & Sky Tours, but my families’ tickets were not. Even though this trip was sponsored, all opinions contained in this piece are my own. Earth & Sky Tours operate daily, with twilight and night tours available to Mt John and night tours available to the Cowan Observatory nearby. Times vary depending on the time of year. Our tour was the first tour of the night on the longest day of the year; we met at 10pm at the Earth & Sky office in the centre of Tekapo (near the i-Site). 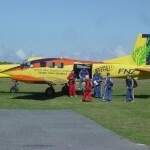 Tours cost $140pp (adults)/$80pp (children) and last for two hours. Thick, Antarctic-grade jackets, red lights, and hot chocolate are provided. Other warm clothing is highly recommended. Terrific night sky pictures…National Geographic quality. How dependable is a clear night sky in Tekapo? I’ve been to Mt Cook several times and more often than not the mountain creates a thick cloud cover that blocks the sky out as well Mt Cook and Mt Sefton. But if you happen to be there when it’s clear, it’s God’s country with stars like you photographed that make the glaciers glow in the night dark from starlight. My thinking is Tekapo is close enough to Mt Cook that it’s clouds would affect the whole region. What do you think? Thanks very much Dennis! A photographer always loves hearing that! 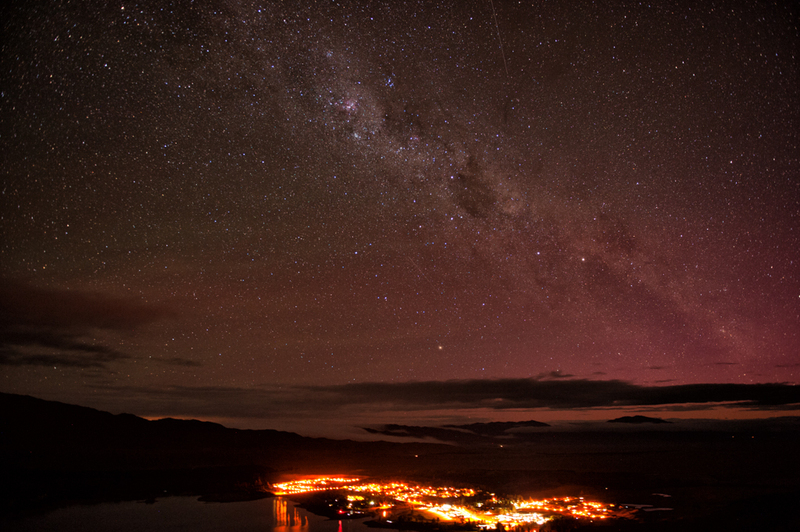 The night sky in Tekapo is actually reasonably dependable. Unlike Mount Cook, which is right in the middle of the mountain range, Tekapo is a bit to the east, which makes a world of difference. The Alps block a lot of the weather that comes in across the Tasman so it’s got one of the driest climates in the entire country. That doesn’t mean there won’t be cloud, but it seems to clear out more easily than it does around Mount Cook. I’d love to go to Mount Cook and stay overnight in one of the huts there. You’re right about it being God’s Country, and I can only imagine how magical it would look glowing under the stars. What an awesome experience! Lake Tekapo is definitely on my ever growing list of weekend destinations. I definitely recommend it Emma — in a weekend you could go starwatching, do a bit of hiking, and sit in the hot springs. Sounds like a pretty awesome weekend trip to me! I have goosebumps looking at these photos. Stunning! Thanks Alain — so glad you liked them! Cool star photos! 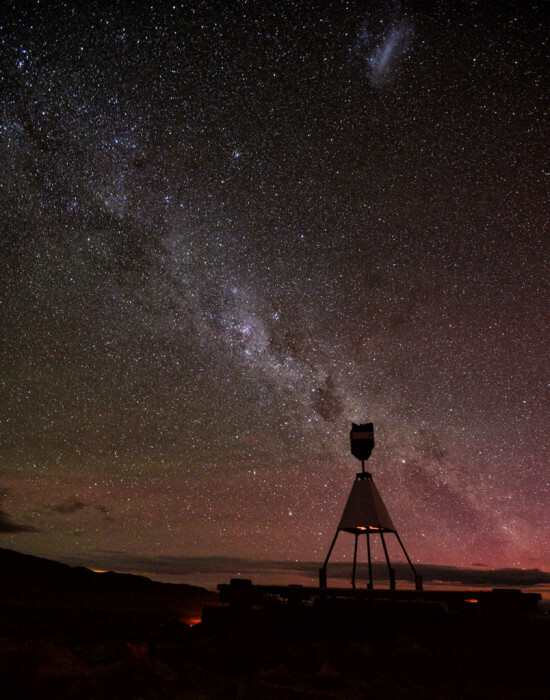 My wife spent some time at the observatory at Lake Tekapo and she’s told me all about. Would like to go there someday. Your shots are amazing! Seeing the Milky Way in its splendour. Thanks very much Cest La Vibe!